Customer data platforms (CDPs) are commonly associated with enterprise-level brands, with many providers refusing to work with smaller firms due to several factors, including the difficulty of managing first-party data. However new ‘private CDP’ firm Velocidi aims to bridge this gap, allowing DTC brands in more nascent stages than scaled firms access to the powerful campaign-management capabilities CDPs can confer. 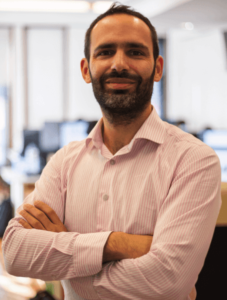 Following his recent appointment to CEO alongside his existing role as chief product officer, ExchangeWire speaks to Paulo Cunha about Velocidi’s position in the CDP market and how the industry is managing concerns about data management and privacy. 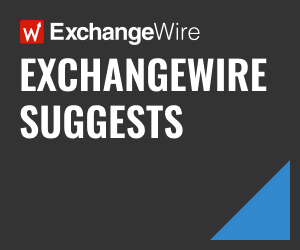 ExchangeWire: Velocidi is a ‘private CDP’ – what does this mean and how are you differentiating yourselves from other CDPs in the market? Paulo Cunha: We call our platform ‘private’ because our clients use it like an in-house solution. Instead of giving each client an account in an SaaS system, we deploy the CDP stack on an Amazon AWS account, which the client owns directly. In the interest of data privacy, we wanted to offer something that ensures brands can keep absolute control over their customer data. The private nature of our CDP means that, by design, the client remains the primary data processor. To make this viable, we did a lot of work baking in automation and scaling to the platform’s architecture. And now we have a private CDP that is just as easy for clients to implement as an SaaS solution, competes on pricing, and behaves like a first-party in-house platform. Velocidi has recently secured new funding – what will this drive in the business in the short to medium term? In the past year, we’ve reached some powerful milestones in custom machine learning for specific clients. The extra boost in funding will help us accelerate the process of scaling up the technology across clients and applications. We’ve always prioritised machine-learning features that have an immediate and positive impact on our clients’ ROI, and the results have been highly rewarding. Is there a misconception in the market about the role of a CDP? I think the term ‘marketer-managed’, which has been used as part of the general definition of CDPs, has caused some misconceptions. It seems to imply that the responsibility of drawing value from a CDP falls entirely on the marketer. But that is not the case. CDPs are a new technology, so companies adopting them should expect support from the vendor to maximise its value. Even if the marketing team is the primary owner of the CDP, it will likely be used by people in several departments. The person who is best positioned to take ownership of customer data in your company may not be a marketer. As you are evaluating CDPs, you can decide for yourself how the CDP will be best used by your business. And support and ongoing services should be a primary deciding factor. How are your clients using Velocidi and what is the significance of the ‘private’ element to them? A private solution provides many advantages. 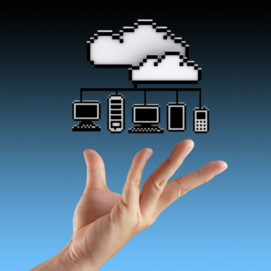 The client is able to keep all of their customer data securely under their own control. They tag their online properties using first-party tags, which is more security and privacy friendly. Security risks are reduced because everything is stored behind each client’s own firewalls. So we are not creating a single large environment full of everyone’s customer data, which can become an attractive target for hackers. The predictive modelling and machine-learning features of our platform help clients enhance their existing customer data and deliver personalised purchasing experiences and advertising. Because it’s a private solution, those machine-learning algorithms run in isolation at each client site. That ensures, by design, it is impossible for one brand to inadvertently expose their customer data to another one, say one of their competitors. So, it’s more than the data that is kept under their own lock and key, it’s also intellectual property like the customer predictions and insights. With increased data regulation globally, do you expect more marketers to be seeking out a customer data solution, which focuses on privacy and security first and foremost? I think security is already a major deciding factor for marketers evaluating CDPs. Every other CDP I know of is investing heavily in privacy and security certifications to reassure clients that their data will be safe in their environments. It’s not hard to argue that an in-house CDP, where all of the brand’s customer data is safeguarded internally, is ideal for the current regulatory climate. But marketers in every vertical of all business sizes won’t approach privacy and security the same way. Businesses that have direct relationships with their customers are more likely to prioritise private or in-house solutions. What is the next major milestone Velocidi is working towards? Our mission is to help direct-to-consumer brands grow their businesses through better and more personalised marketing experiences. And we are happy to not limit ourselves to the currently accepted definition of what a customer data platform is and does. I expect to reach a point where we go beyond being a platform for data. Machine learning for measurement and attribution is on the horizon. We’re working towards a true measure of how every single touchpoint impacts customer lifetime value – not just advertising or immediate purchases. We’re doing this by applying algorithmic attribution on top of the complete unified journey of the customer we are already capturing and stitching together. We are already at the point where the impact of SMS or email delivery – not just opens – can be evaluated on the same level as a traditional click on a banner ad.